Twenty-five years ago this month, when the Convention on the Rights of the Child came into force, the world made a promise to its children. It was a promise to do everything we could to keep them alive, to keep them healthy, and to help them realize their full potential. Fifteen years ago, the world extended these promises through the Millennium Development Goals. They included cutting the number of young children dying before their fifth birthdays, keeping their mothers alive, and tackling diseases and deprivations that threatened their futures. 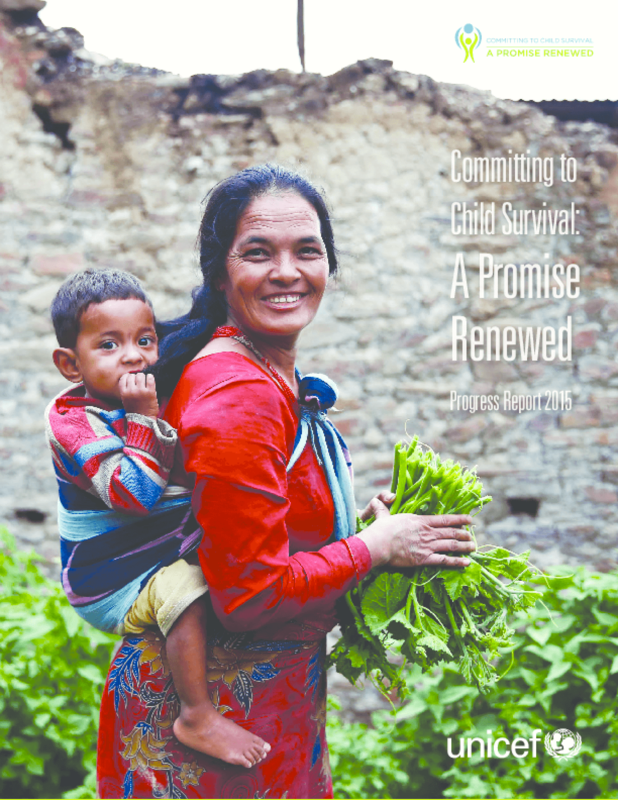 And three years ago, we renewed those promises with the Child Survival Call to Action, which launched the A Promise Renewed movement to end preventable child deaths. Since then, nearly 180 countries have pledged to make child survival a priority -- and 30 countries have followed this pledge with sharpened strategies to address child mortality. This report takes stock of our collective progress towards fulfilling those promises. Copyright 2015 United Nations Children's Fund (UNICEF).